No matter how well-rounded your taste buds are, chances are your little ones (or maybe even the bigger ones in your family…*cough*) are picky eaters. You probably don’t need to be told twice that a balanced diet with lots of veggies is crucial to your well-being. So how do you get the kids on board? If healthy foods are the only thing available when your kids are hungry, they’ll get used to eating them for fun. Try leaving out a plate of vegetables for when your kids get home from school so it’s the first thing they see when they look for an afternoon snack. If you’re on the go, stock a cooler with carrots, celery, or other easy-to-munch veggies. While many store-bought dressings are full of sugar and other not-so-good ingredients for your family, it’s fairly simple to put together a homemade dressing with Greek yogurt, spices, and oils. Butter is also an easy additive when cooking up veggies—it reduces the bitterness that your kids are scared of. Make sure you and your spouse are open about the benefits of healthy foods. Talk about how it’s fun to try new things, and how some foods just take a little while to get used to. If your kids admire any sports stars or musical artists, it doesn’t hurt to mention that vegetables are what give them the energy to perform at their best. Give your kids ownership of their diets. 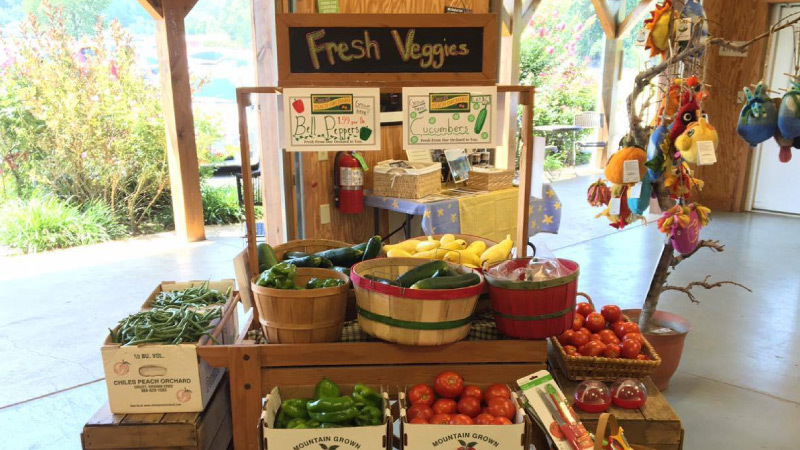 Bring them down to the Orchard and let them pick their own green beans, tomatoes, and more. If they’re old enough, have them cut or season them at home. Be sure to affirm them with your excitement to eat what they’ve selected and prepared. It’s beautiful for kids to take pride in their own healthy eating habits, and you’ll grow great memories too. An apple cider donut or two never hurt anyone! 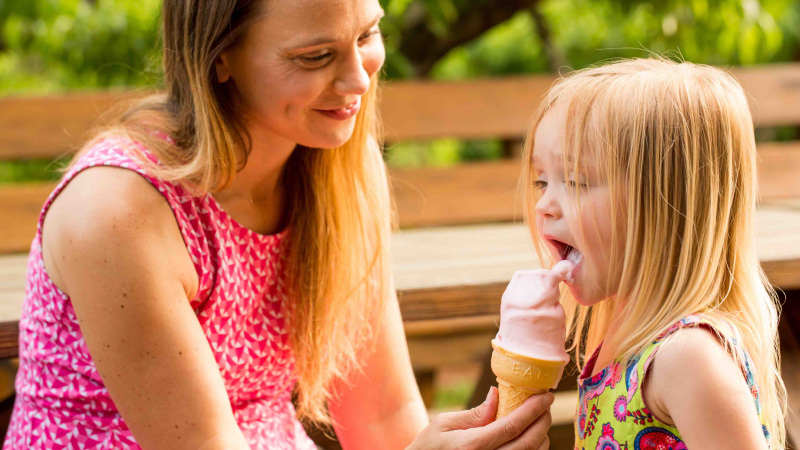 Offering dessert can incentivize your kids to finish their greens, but expressly forbidding sweets can just make them more tempting (and your kids will scarf down said treats even faster when they’re offered elsewhere). Don’t be afraid to let your little ones experience the full spectrum of delicious food.